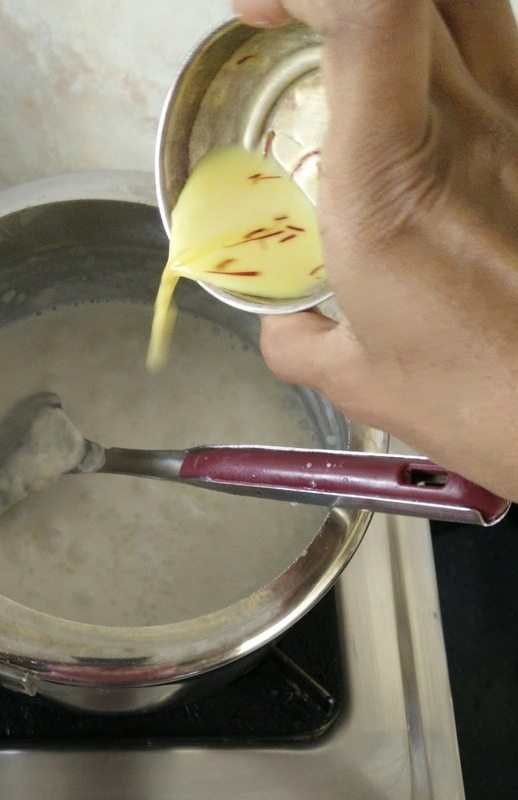 Who doesn't like kheer/payasa ?. 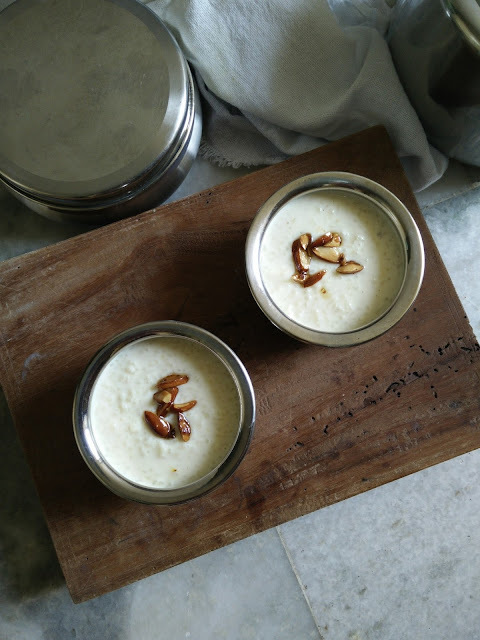 Payasam is one of the traditional desserts of India and usually this dessert will be served at the end of the meal. 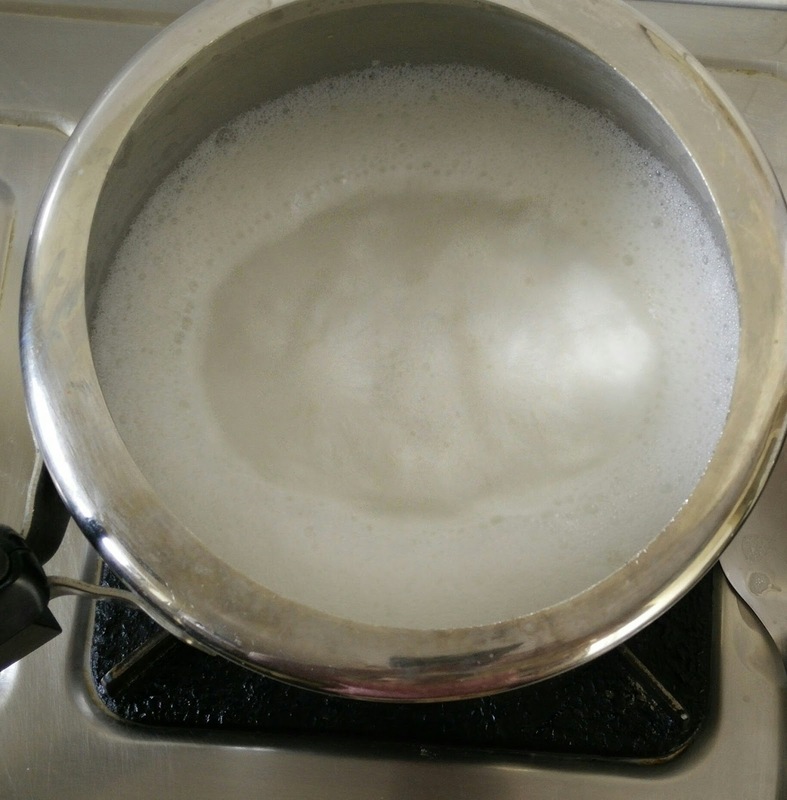 This is a slow cooking recipe prepared in an open pot. 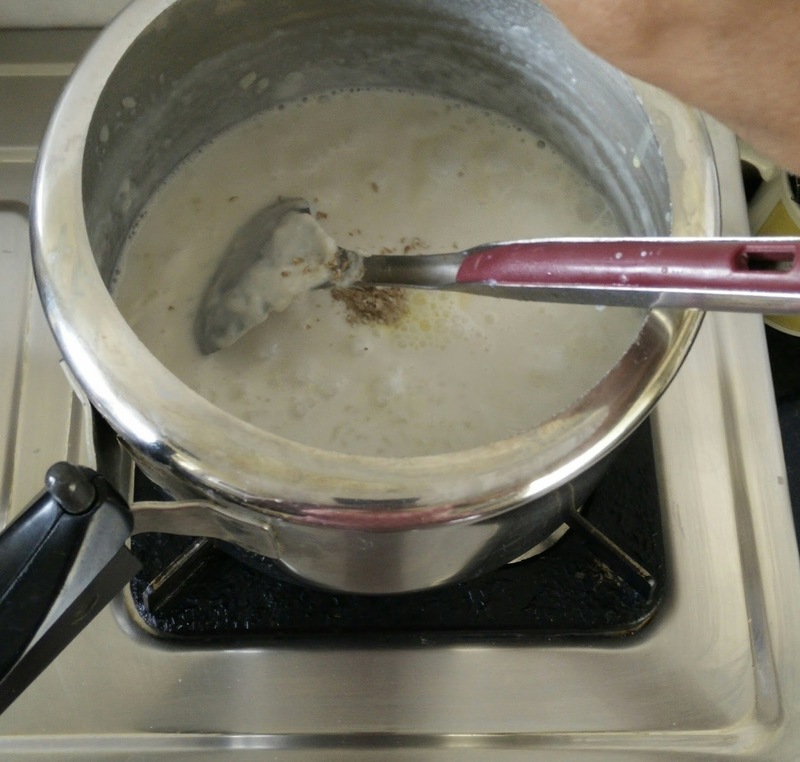 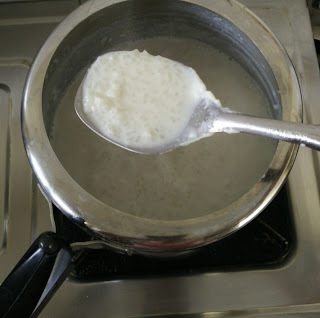 Here rice is cooked in full cream cow milk.Sugar will be added in the second stage and cooked till it reaches creamy texture. 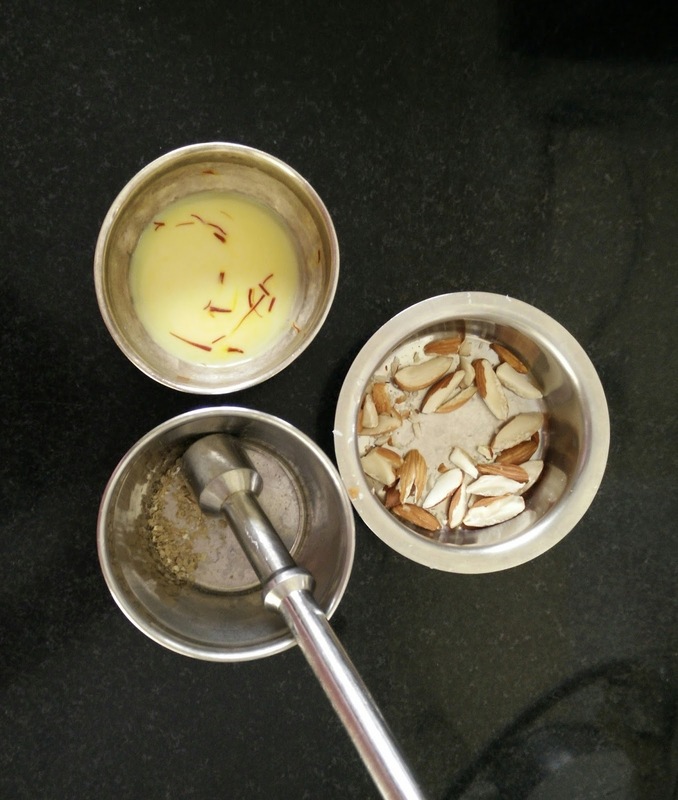 Adding cardamom powder and saffron makes the dessert very flavorful and delicious. 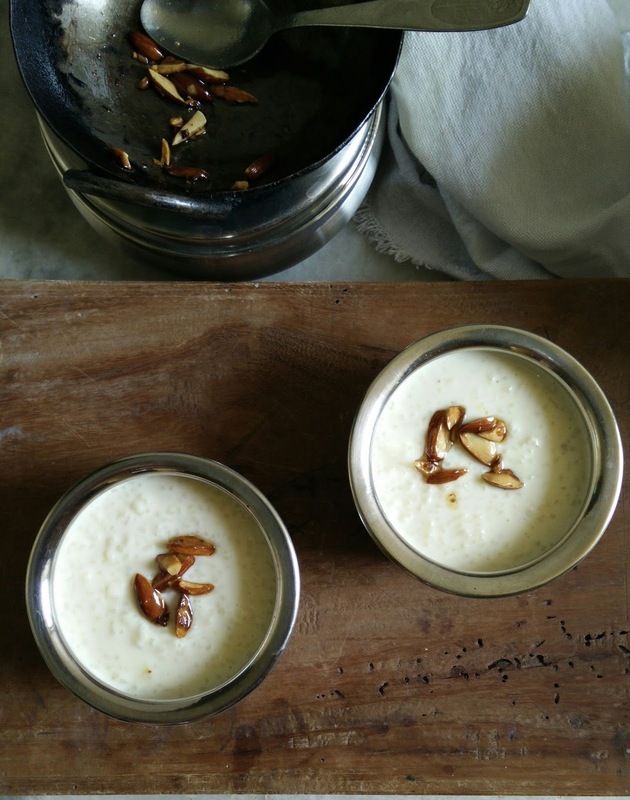 This is an old ancient recipe and it is called "ksirika" (milk pudding).The below recipe is just as mentioned in one of the books of Ayurveda without any shortcut/twist. 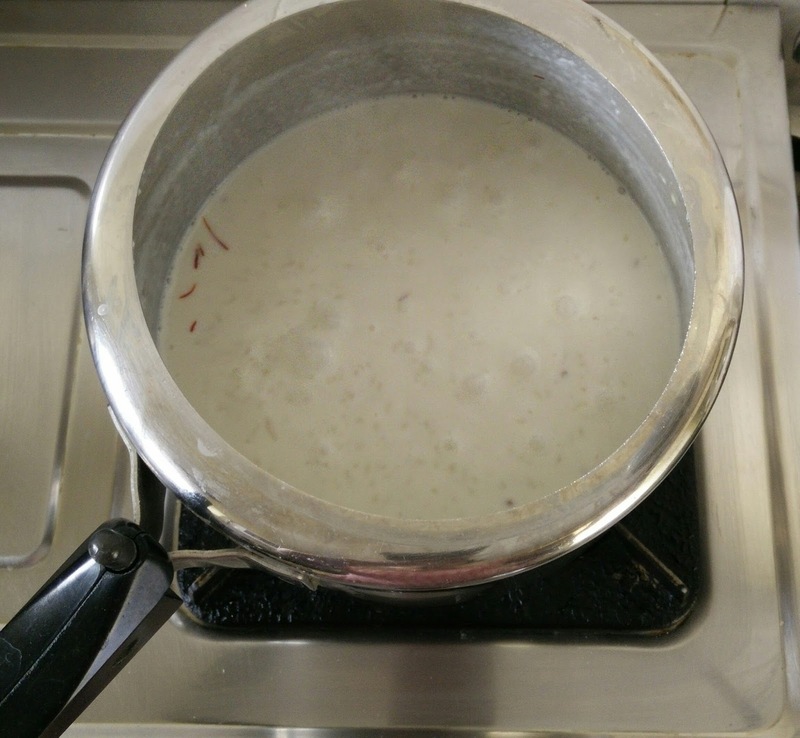 Health Aspects:Rice kheer/payasa is difficult for digestion and causes flatulence. 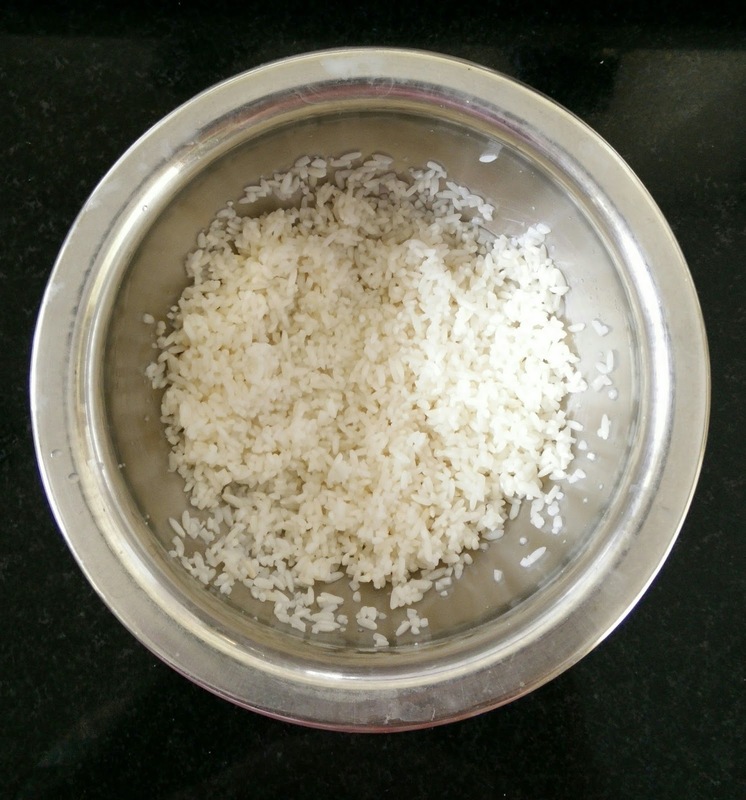 Also mitigates pitta and bleeding disease. 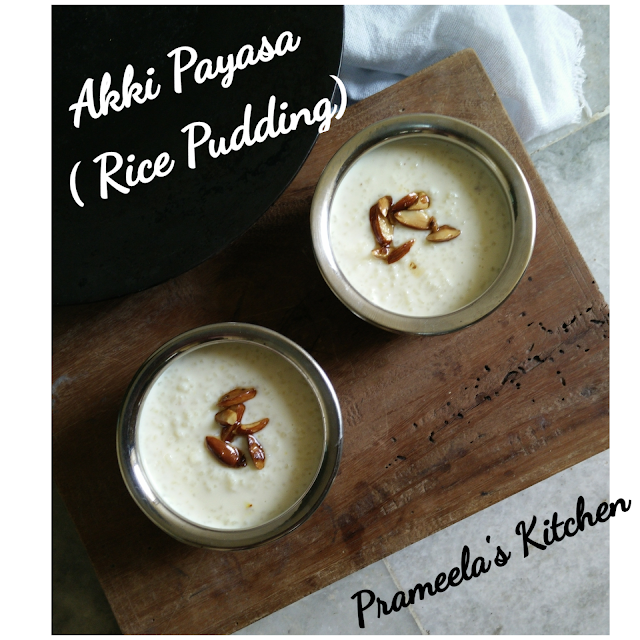 Our ancestors used to offer this delicious payasam to goddess Lakshmi every Friday and then consume it as prasadam. 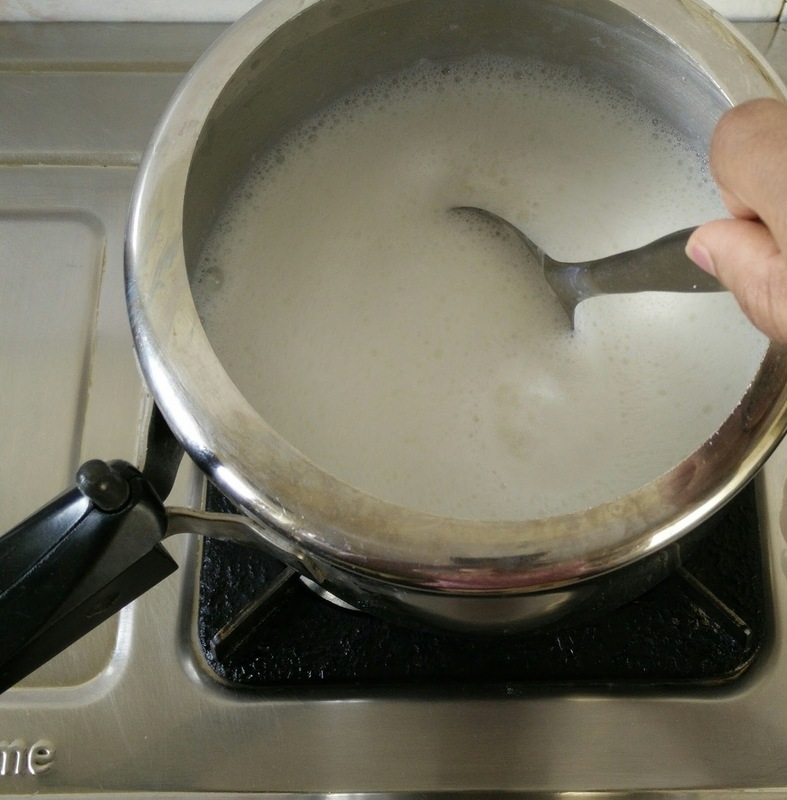 Suggest you to try out this slow cooking recipe from your end for upcoming "varamahalaxmi vratam". Wash rice and soak it in water for about half an hour.After 30 mins,drain well and keep it aside. Heat the milk in a thick bottomed vessel ( I usually use stainless steel pressure cooker). Add the drained rice to the milk. 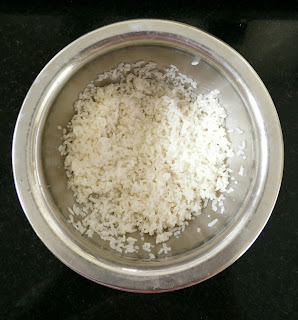 [ You can crush the rice in hand before adding too]. 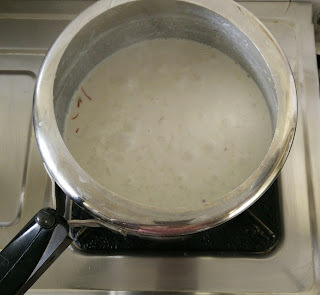 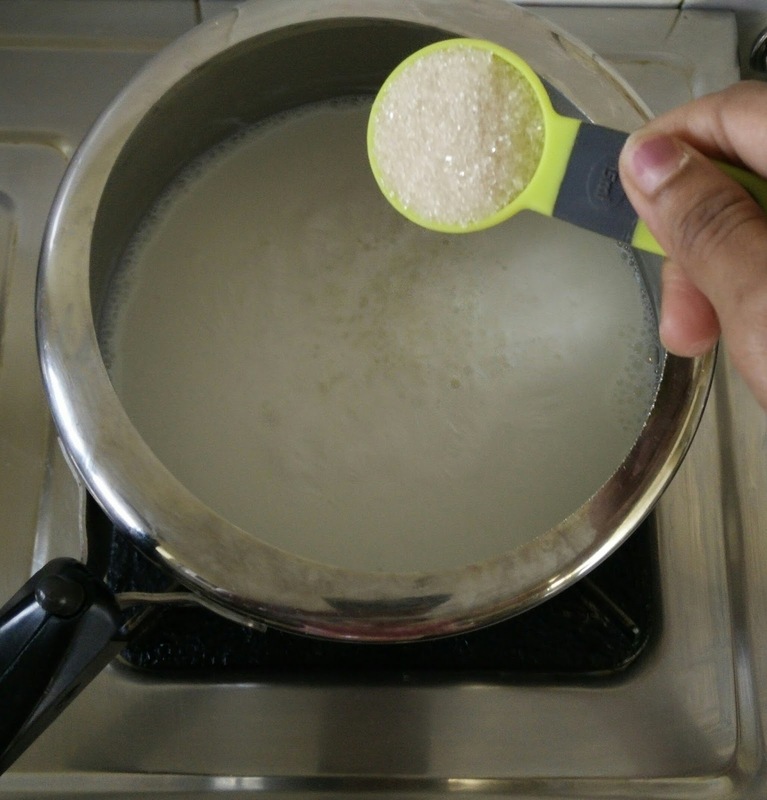 Keep the heat in low to medium and keep stirring the kheer in every 2-3 minute. Meanwhile crush the cardamom and soak the saffron in 2 tbsp warm milk. Fry cashews in 2 tsp of ghee and keep it aside. Once the rice is cooked ( it takes 20-25 minutes) , add sugar and safforn.